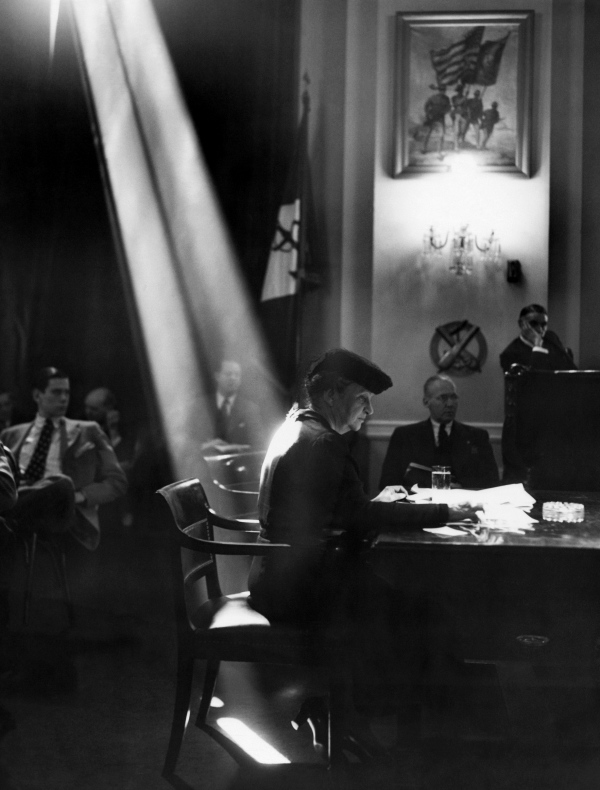 Frances Perkins testifying to the board of the House Naval Commission, March 1942. On Wednesday, May 1, a premiere showing of the recently completed documentary, “Highlights of the Life and Legacy of Frances Perkins” will take place at Skidompha Library’s Porter Theater at 184 Main Street, Damariscotta, Maine at 4 p.m. A panel of experts with Q&A and reception will follow. The Frances Perkins Center is honored to be partnering with the Newcastle Historical Society and the Damariscotta Historical Society to offer this event. In addition to the 30-minute documentary and Q&A, the Frances Perkins Center’s new six-panel traveling exhibit will be on display. 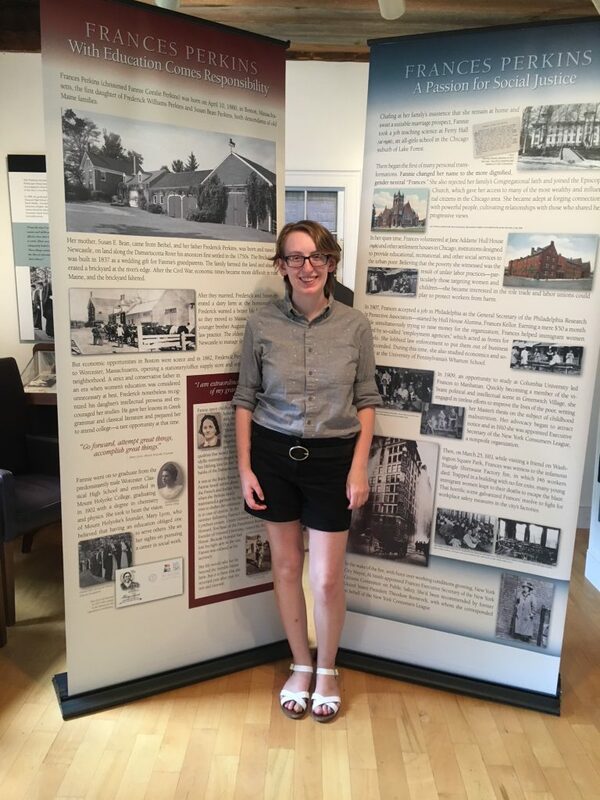 2018 Mount Holyoke College intern Allison Kelley with two of the traveling exhibit panels. RSVP by following this link. The Frances Perkins Center would like to acknowledge those funders who made this educational opportunity possible: Maine Humanities Council, Maine Community Foundation, Newman’s Own Foundation, Historic New England, and Katharine J. Watson. Due to their generosity, the Center is able to share this documentary and traveling exhibit, at no fee, with the goal of providing students of all ages a chance to learn about this remarkable woman. If your school or organization is interested, please contact the Center at info@francesperkinscenter.org or by calling 207-563-3374. If you would like to attend the May 1 event please RSVP at the website www.francesperkinscenter.org under upcoming events, by email info@francesperkinscenter.org or by calling 207-563-3374. If you can join us please RSVP as space is limited.